The phrase “Counting on Community,” conjures up for me countless stories I’ve heard from PEPS parents. One story that stays with me is about a mom who was struggling with intense sleep deprivation. Like, not your average new baby sleep problems, but a chronic health condition that led to months of sleepless nights. She was exhausted. Midway through her PEPS experience, she walked into that week’s PEPS meeting with tears streaming down her face. Within moments, one of her fellow PEPS moms greeted her, taking her baby into her arms. Another PEPS mom quietly guided her up the stairs to a bedroom and gently tucked her into bed. For the first time in months, she slept. This mom’s PEPS group gave her the priceless gift of sleep…and they were able to do that because they truly saw her. Why racial equity? Well, when we look out beyond PEPS-beyond each individual PEPS Group-we see the dire needs and struggles that exist for growing families…access to prenatal care, infant and maternal mortality rates, affordable childcare, kindergarten readiness… For all these issues, people of color are the most negatively impacted. So this is where we focus. Being in community with one another requires that we see one another and that we ourselves are seen. Like the mom we heard from whose young child was diagnosed with autism and, as a result, considered isolating herself, no longer sure of how to engage with the world. Her PEPS group showed up for her, nurtured her, got her out of the house and showed her that she, her son, and her family belonged. And really, feeling seen, heard, and connected in a PEPS Group is like the bigger and broader communities that we all live in. That  wonderful feeling of being connected in your PEPS Group is what community looks like at its best…showing up for one another. And this isn’t that different than being a parent, right? We are raising our children and tending to our own families, but we, as parents, are always thinking about the kiddos who come play at our house, the friends in the neighborhood park, classmates at school, and the wider world that we are sharing with our children. So in the coming years, while PEPS is deepening our own impact and reaching even more families, we will also be taking action in the broader community in an effort to advance racial equity. For PEPS, being committed to racial equity means that, while we are striving to make our work better, we will also step outside of ourselves and show up in the community. We will support efforts and collaborate with organizations who are already making big impacts on racial equity. We will venture into advocacy work (which I hope you all will be a part of). And we will broaden our definition of parent support. Just as we provide support around parenting issues like sleeping and feeding, we will be introducing resources into our programming around identity development, talking with kids about race, raising kids in diversity and building community. When a new parent is without community, an already vulnerable and fragile time can be further isolating. I’m reminded of a PEPS story about a mom who didn’t realize it at the time but was deeply struggling with perinatal depression-so significant that her husband knew not to leave her side. She realized this when she left her house for the first time and walked into her first PEPS group, while her husband waited in the car outside. Through the connection she found in that group, she was able to see herself, and knew she needed more help. She walked out of her PEPS group that day and her husband drove her straight to the hospital, where she got the help she needed. And throughout her journey, her PEPS group was there for her. As we deepen our impact, our entire board of directors and staff team have been engaged in a state of listening, learning, and analysis of how to make changes to ensure that PEPS offers the opportunity for connection and support for every parent who shows up. This past year we produced 8 new training videos for our group leaders that share examples and expertise for facilitating groups and creating safe spaces to share. Last year we collaborated with 3 organizations in Snohomish County to bring parent support to teen moms - a program that had no participation fee and where the moms also received high school credit. During this intense time of transition for these young women, we learned that this group provided these new moms with space to be seen by one another and themselves as not only students and teenagers, but as mothers. This year, we are making meaningful changes to our PEPS Group Leader training that will give our leaders more tools to foster connection and support. We are doing a complete review of our curriculum and materials and adding to them, to ensure that our values around diversity and equity are clearly reflected in everything we do. We are removing barriers to access to PEPS by reworking our fee structure and piloting a pay-what-you-can fee model in which parents can choose what program fee they can afford to pay. We will be partnering with other incredible community organizations. We are continuing to work directly with parents and community partners to ensure that we are responding to relevant needs. This is big work – transformative work. And it is a journey that PEPS is committed to for the long haul. And we can’t do it on our own. We are working with and learning from amazing community leaders, organizations, and parents. You are not only on this journey with us, but you are helping make it possible. Thank you. 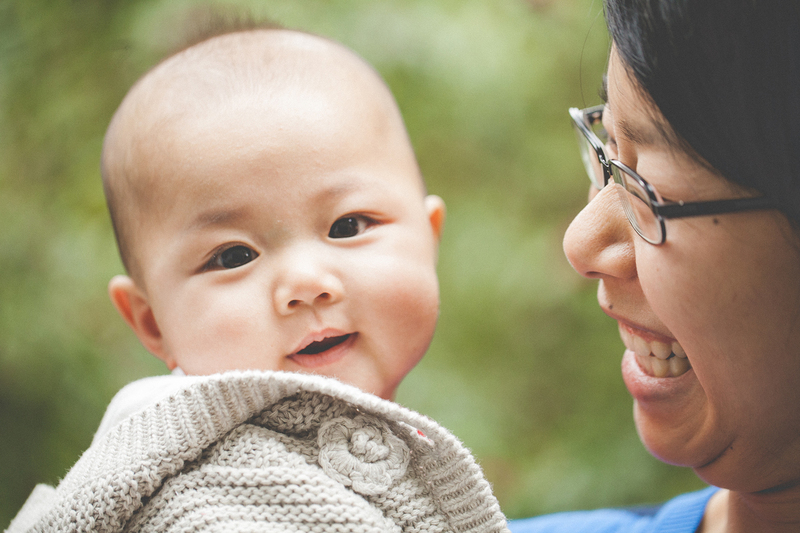 Thank you for investing in our vision of working towards the day in which every new parent has a community  to count on. Watch Jessica Lawmaster give this talk at our 2018 PEPS Luncheon. Jessica Lawmaster is the executive director of PEPS and a mother of three young daughters. Jessica earned her Master’s in Social Work from the University of Oklahoma and is passionate about supporting ways to empower and build resilience in families. Last year Jessica joined a Second Time Around group as well as an evening Newborn Group with her husband, Patrick. Jessica and her family moved to Seattle in 2016 and are fully enjoying exploring the culture, opportunities, and natural beauty the city has to offer. Contact Jessica at jessical [at] peps [dot] org.